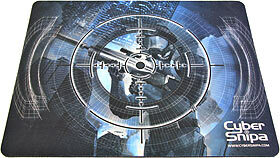 Review date: 26th November 2006. As I mentioned in my recent mouse review, a good mouse is not living up to its full potential if you don't have a good mat for it. Many a mouse will work just fine without a mat, or with the crappiest of mats, but the Cyber Snipa mouse in question was so sensitive that it was strangely uncontrollable with my old mat. 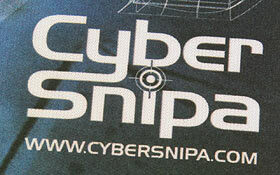 True to their word, Aus PC Market have sent me a couple of the Cyber Snipa mouse mats to have a look at, and I can say that the Cyber Snipa mouse performs admirably on them. Which you'd want it to, given they have the same parents. Aus PC sent me two mats, which are basically identical apart from the design that's printed on them. The first mat has a great big scope-with-eye motif. 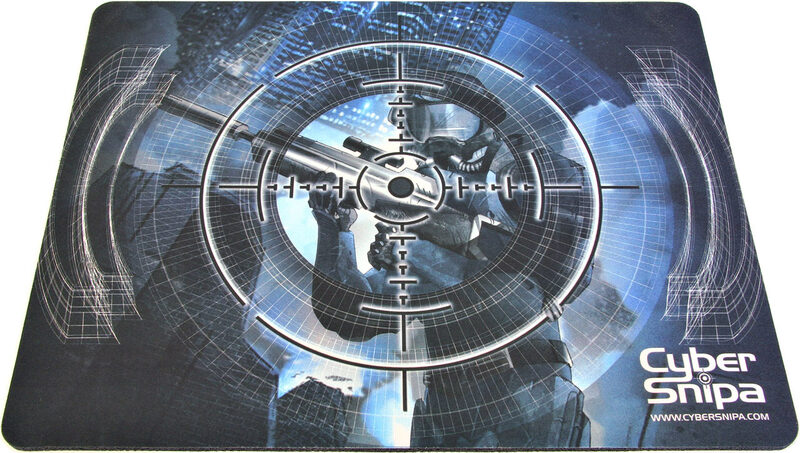 The second mat has a great big scope-without-eye motif. They kinda dig the scopes. Visually, I find the second mat a bit busy, but that's just me. I do, after all, tend to wear plain black most of the time. Black matches black quite well, and I have the design sense of a programmer. At first glance, the mats appear to be glorified piece-of-wetsuit pads, but there is a little bit more to them. For starters, they're big. 38cm x 29cm, or thereabouts, which is almost as big as a piece of A3 paper. If you like your mouse sensitivity fairly low when you play games, this size will fit the bill admirably. It is well suited to arm-wavers. On the other hand, the super-twitchy crowd - who like to ramp their mouse to 11 and fly around 3D worlds using almost imperceptible movements of only their second knuckles - may find the size less useful. The size could also be a problem if your desk space is at a premium, but if you don't care much about the design printed on the pad, a hobby knife will quickly solve this problem, while doubling your mat count. Both mats feel identical to use. They have a microfibre-based top which offers noticeably less friction than your standard blue oblong; it's more slippery than many plastic mats, too. 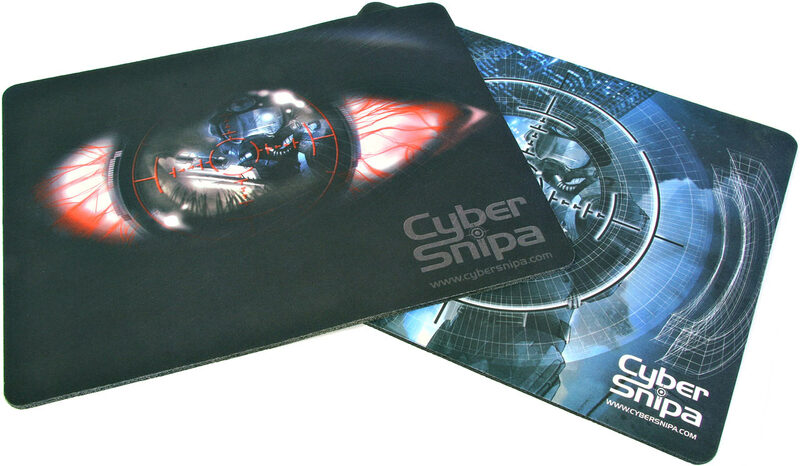 Super-slick, textured plastic and metal mats will offer less friction than the Snipas, but compared to what most of the world considers an acceptable mousing surface, the Cyber Snipa mats are a definite improvement. In addition to providing a slicker mousing surface, the microfibre layer is supposed to be better for optical mouses, the theory being that it has a more finely grained texture for the sensor to track. A claim like this isn't easy to test, but the fussy Cyber Snipa mouse worked just fine on it (although that mouse also worked just fine on a blue piece of wetsuit). One also has to consider how the surface will age. All mouse mats gum up after a while, and any sort of textured surface will store the dirt for you very nicely indeed. Microfibre is actually better at grabbing dirt than many other surfaces (which is why it makes for a great cleaning cloth), so the Cyber Snipa mats may require more frequent washing to keep them in optimum condition. 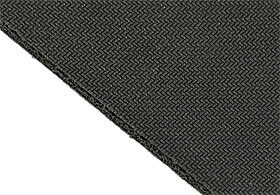 The bottom of the mats have a textured rubber layer, which holds them in place firmly. As a bonus, when they're new, it also makes them smell like the back room of a dive shop. All up, if you need a stable and smooth surface for your pedigreed plastic rodent, and you have the desk space, the Cyber Snipa mats are a good investment. Aus PC Market sell each of them for $AUD20.90 including Australian delivery, however now that they have a minimum order value of $AUD22 (which has allowed them to drop their prices on low-dollar items), you'll need to grab another item or two while you're at it. Like, perhaps, a mouse. 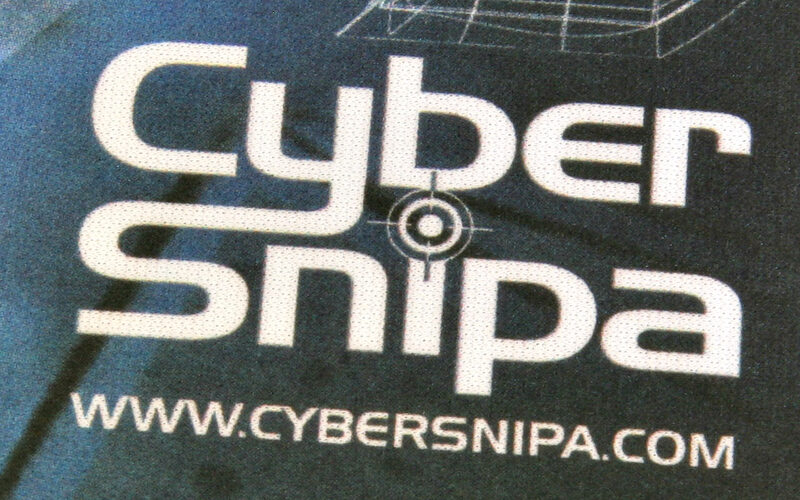 International orders can be placed directly through the Cyber Snipa online store, or via one of their dealers. 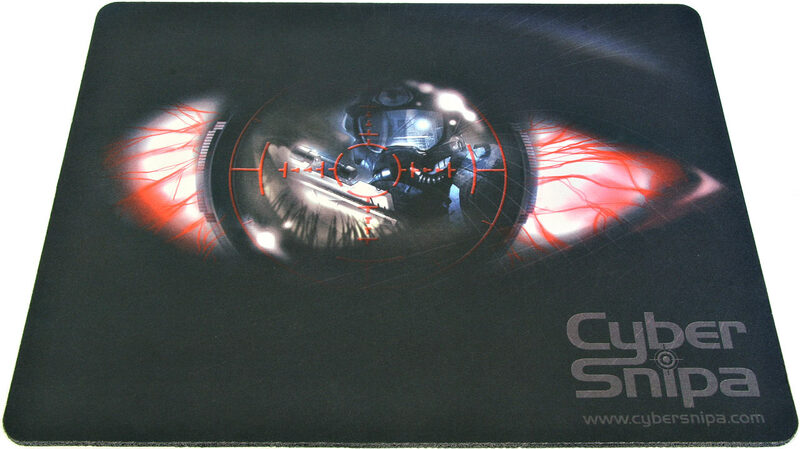 Readers from Australia and New Zealand can still purchase the "eye" version of these mats from Aus PC Market, for $AU20.90 including Australian delivery; click here to do so!